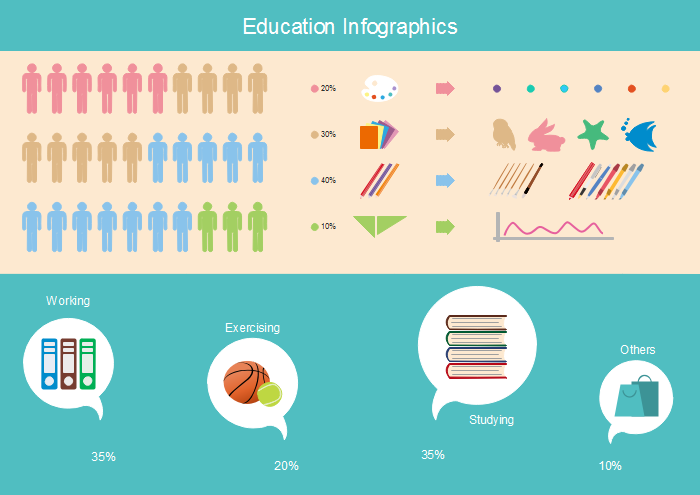 Making a viral education infographics with the brand new infographic software. It will show you the way to do it. In the classroom, one of teacher's heaviest task is to draw student's attention. The downside of failing to do this is that students won’t be able to recall information learned in class. But teachers can easily achieve this goal with the right tool or method: Infographics. Infographics are extremely powerful tools for teaching. Because stories, the use of images, pictures, and visual facts can get students to pay attention consciously. We have a solution here for you: Edraw Infographic software! 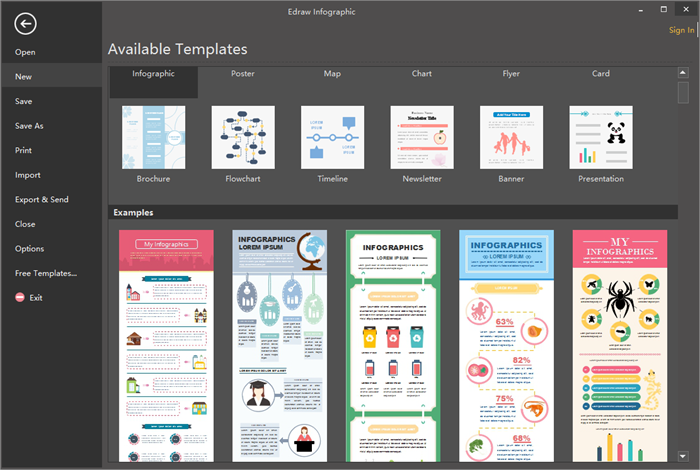 Edraw Infographic Software is a powerful and easy-to-use infographic tool which is suitable for all types of usages, from posters to presentations and much more others. This is a professional tool with a vast library of images, icons, fonts and features from which you can choose. With lots of examples and templates provided, you can visualise your ideas in a few clicks, which allows you to express professional concepts in a simple but still understandable way. 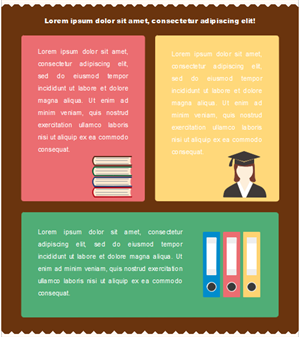 The following steps will show you the basic steps to create education infographics on Edraw Infographic. 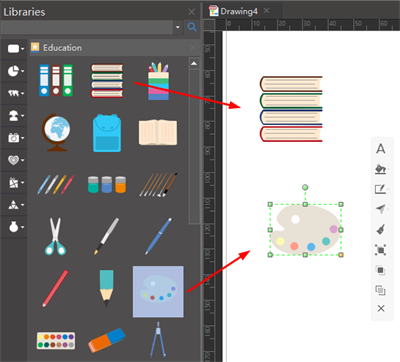 Run Edraw Infographic and go to File menu, click New - Infographics to start a new infographic drawing page. If this is your first time to try designing an infographic, simply choose one of the examples provided by Edraw and get some inspiration for your own design. All examples on Edraw can be customized. Elements for education infographics lays under "Libraries - Symbol - Education". Drag and drop them on the drawing page. Color, size and directions of all elements are editable, you can modify as you want for your design. TIP: If you happen to fail to find the right element among the ready-made shapes, use the "Pen Tool" to draw the element yourself. "Add Anchor" and "Delect Anchor" buttons will help you will the curves of shapes. 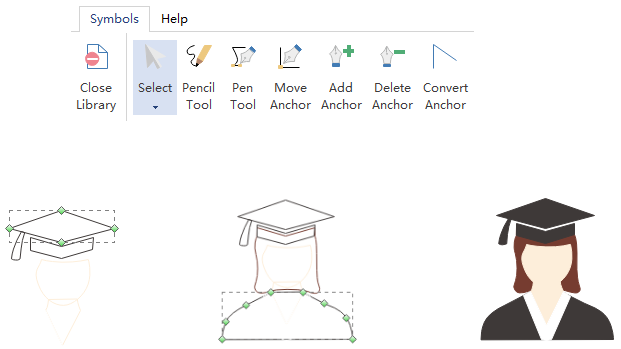 Hit "Convert Anchor" if you need to change a round angled curve into a rectangular angled curve. It is very convinient. Go to "Home" - "Text", draw a text box then type in the contents. 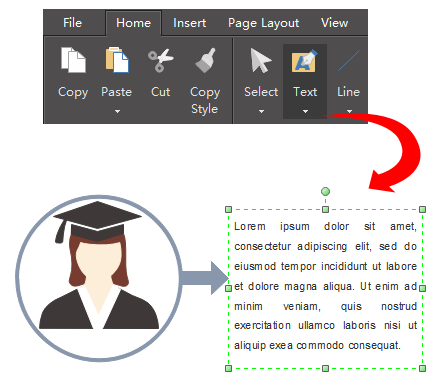 Once finished deisgning your infographic, click "Save" under "File tab" to save the infographic as the default .eddx format. 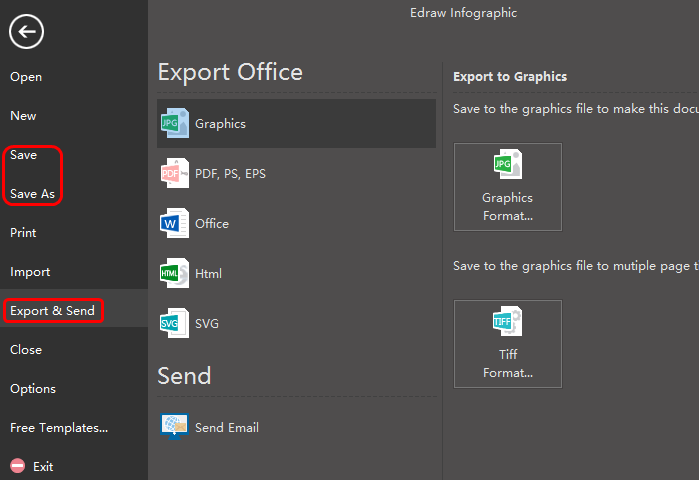 Or, users can also choose to "Export & Send" under File to export the infographics to any formats that's convenient to share, such as Word, PPT, PDF, images or even Visio. Use Charts and Numbers to Present Facts. Numbers and statistics are the most powerful proves for great fographics. Edraw provides various of different options. 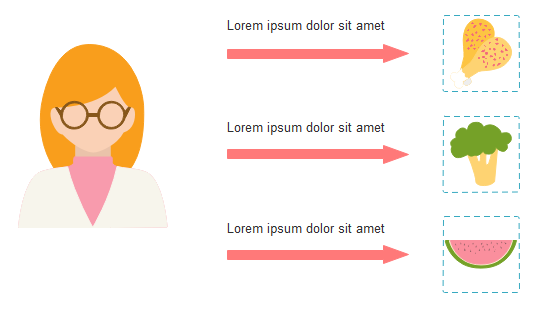 Remember you can easily change the color and size of shapes to suit your design. Make your Infographic Visual. Using visuals to represent facts and figures gives you the greatest chance of creating impact. Use color to make your infographic stand out. Increase the impact of your infographics using color. Go for bright colors that jump of the screen and increase the chance of getting your information noticed.